I still shake my head over this title and its original Awkward Family Photos cover. The one pictured below is, believe it or not, a vast improvement. That said, I've read it twice in the last few months and I continue to have a soft spot for it. 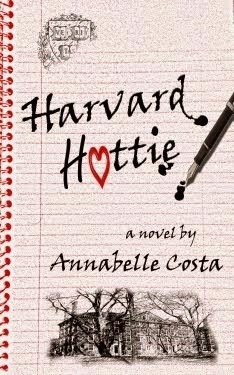 Stop by and read my review of Annabelle Costa's Harvard Hottie over @ Dear Author today.